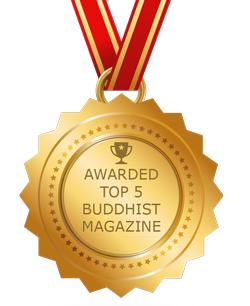 What has this got to do with five Buddhas? 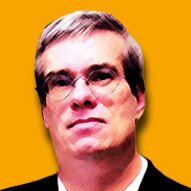 Is non-uniformity confusing or reinforcing? Most Buddhists, in daily practice, understand a core truth — that all phenomena are inter-dependent and cannot exist independently. Quantum Physics is only now starting to demonstrate this fundamental Buddhist understanding. Buddha called this “dependent-arising” more than two thousand years ago. The concept is mind-boggling, even for the great minds in quantum physics — yet in Buddhism, it has been a core teaching for 2500 years. But, what does this have to do with the five great Buddhas: Vairochana, Amitabha, Akshobya, Ratnasambhava, and Amgohasiddi? 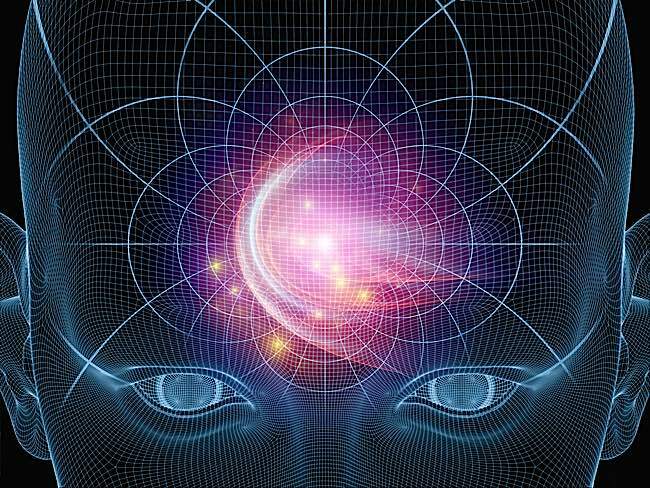 Quantum physics has shown that there is no objective reality without the observer. Buddha taught concepts thousands of years ago, which are only now being revealed in Quantum Physics. Quantum physics has shown that there is no objective reality without the “observer” — a duality and dependent-arising theme that mirrors Buddhist thought. The Five Conquerors of the five directions. Each manifests to help us conquer the five afflictions, the five poisons: anger, attachment, ignorance, pride and jealousy. Other than as a scholarly exercise, there is no need for arguments between the different schools of Buddhism: from pragmatic atheist-oriented Buddhists to Pureland Buddhist who venerate only Amitabha, to Vajrayana Buddhists who practice multiple deities. At the ultimate level, they are all legitimate, different skillful approaches to one core truth. At the conventional level, there may seem to be differences, yet with even a basic understanding of the true nature of reality, those variations seem to become preferential rather than consequential. Lineage and tradition are important in Buddhism, without a doubt. Lineage gives us unbroken access to ancient wisdom and allows us to follow in the footsteps of the Enlightened Beings. On another level, Buddhism has always adapted to culture as it spread quietly. 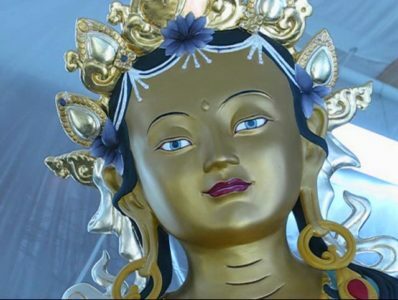 Tibetan deities, and Chinese deities, and Hindu deities all crowd a Purelands of Enlightened Buddhas. This is an entirely authentic way to practice. Buddha taught many methods. Overcoming cultural and ancestral conditioning — and ultimately Buddhism relies on overcoming conditioning and attachments — is easier if you adopt and reinforce, versus argue and deny. This is why there is even the rise of Celtic Buddhism — blending Celtic gods with Buddhism — and atheist-oriented Buddhism in the west. This taps into European ancestral and cultural conditioning. There are Christian Buddhists, who place the crucifix beside Buddha on the shrine. And why not? 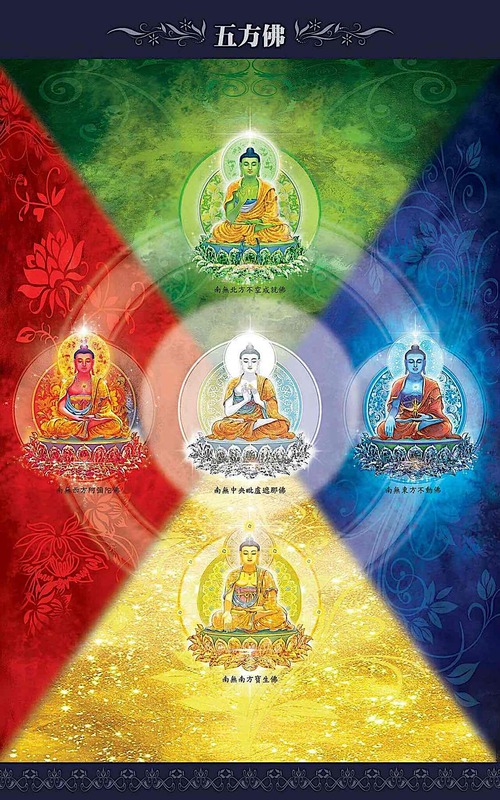 The Five Buddhas: from left to right Ratnasambhava (gold), Akshobya (blue), Vairochana (white), Amitabha (red), and Amoghisiddi (green). 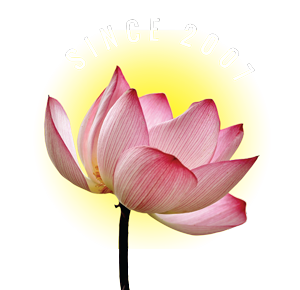 Arguably, Buddhism’s strength is that it is a philosophy and method that can blend with any spiritual, cultural or ancestral conditioning — including atheism. Arguments about authenticity, ultimately, are not that important — simply because Buddha taught us not to be attached to anything. Authenticity and lineage, at least in advanced practice, can be seen as an attachment. Buddhism teaches individual path to Enlightenment. As the teacher’s say “Only you can practice.” A teacher cannot give you realizations. 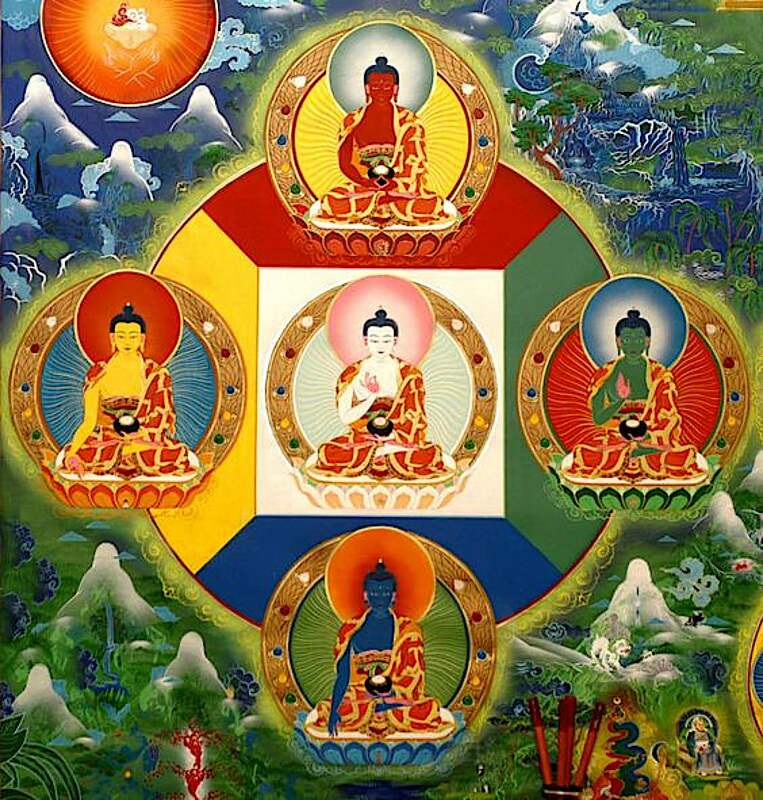 The Five Buddhas in one version of the mandala. 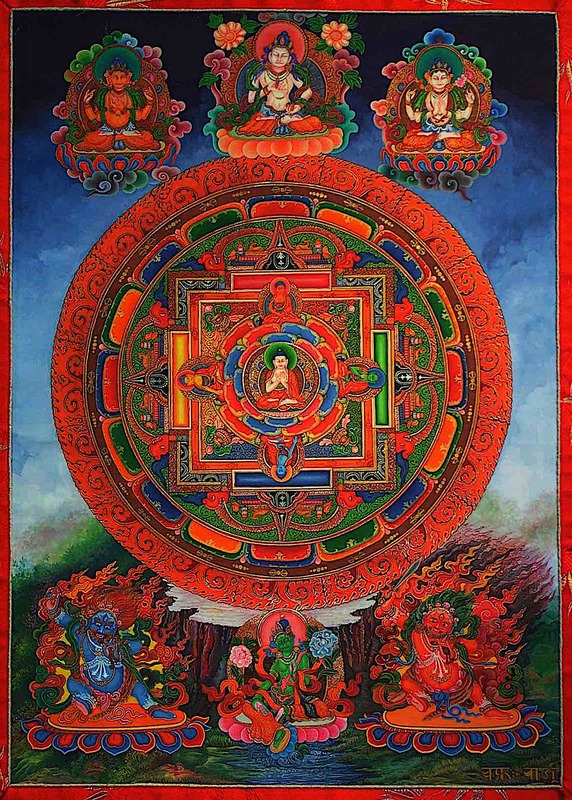 The mandala (circular) represents the Universe and symbolically, there are Buddhas in each of the directions. Now, back to the Five Conquerors. (You probably thought I’d never get back to the 5 Tathagatas!) Many devoted Buddhists venerate and practice multiple Buddhas. To a greater or lesser degree, Mahayana Buddhists honour and venerate multiple Buddhas — even if our main focus is one Buddha. 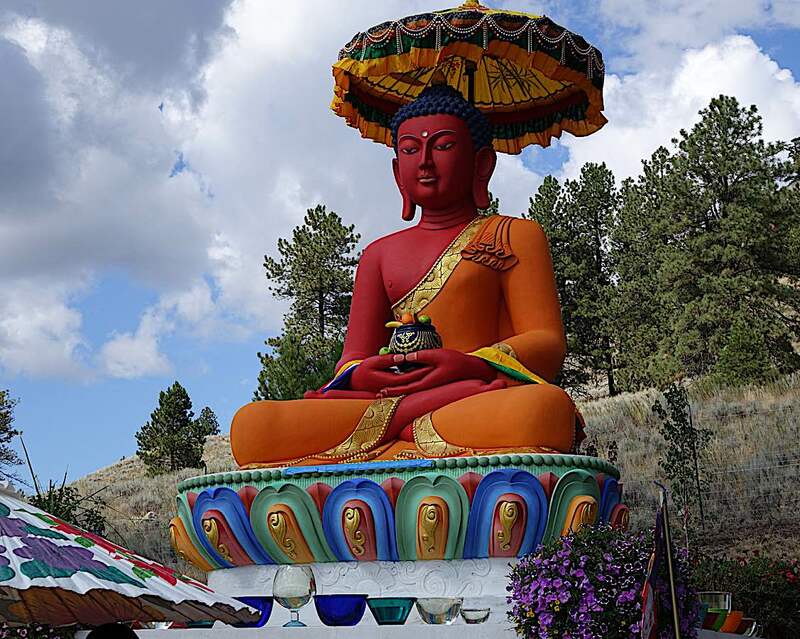 In Mahayana Buddhist sutra, the historical Buddha, Shakyamuni Buddha, revealed not only previous historical Buddhas, but vast perfect Purelands filled with Buddhas. While many Buddhists point to this as “skilful means” to convey an important message, other Buddhists take the opposite view — that the Buddhas are not archetypal, but rather living forces in our universe. 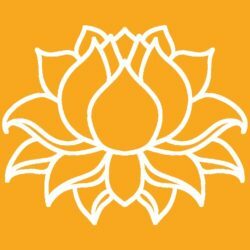 Understanding the true nature of reality, as taught by Buddha — Oneness and inter-dependent arising — we can understand that the Five Buddhas can manifest in our conventional reality. At advanced levels of understanding, there is no difference: ultimate reality and conventional reality have the same essence. If we view the Buddhas as venerable entities, or as an aspect of “the” Buddha, or as archetypal energy, or as a method, or just as a lovely image, ultimately, these are all skilful paths leading to the same goal. Anger is one of the five poisons. 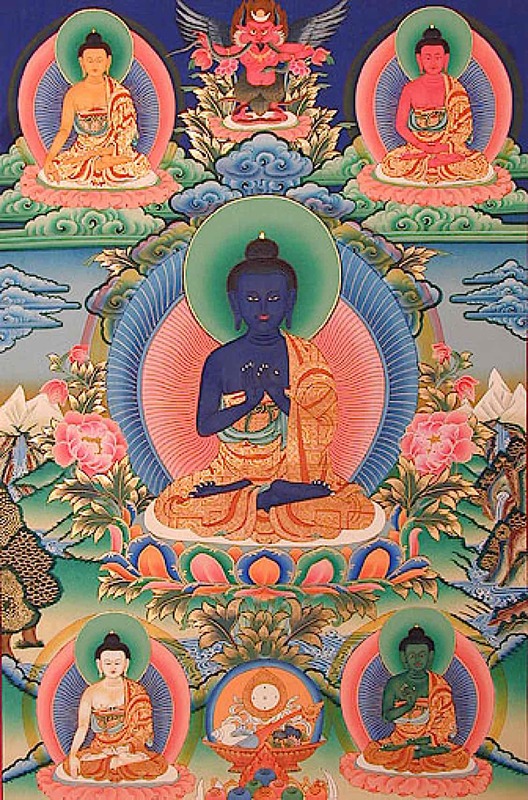 Each of the five Buddhas is focused on one of these poisons — in the case of anger, Akshobya. In Tibetan Buddhism, there are also higher tantric emanations of the Buddhas, wrathful deities who help us overcome anger and other poisons. Any “gone beyond” Buddha cannot be limited by concepts such as body, colour, attributes, directions or corporeal manifestations. At the same time Shakyamuni Buddha, as taught in Mahayana sutras, spoke of Medicine Buddha, and Amitabha Buddha and the other Conquerors. Of course, that’s an advanced, sophisticated concept. It doesn’t matter if we understand we are in Oneness with Tara — or any of the Buddhas, or all of the Buddhas — or if we are venerating the Buddhas. They are two paths to the same goal, ultimately. Whether we view the Five Buddhas and their families — inclusive of the Mothers, peaceful Bodhisattvas and wrathful deities of each family — as venerable and tangible Buddhas, or as emanations, or as conceptual archetypes, we are tapping into that particular energy and path. Amitabha Buddha is normally visulized as a glowing red body of light. Red symbolizes many things, including: the Padma (Lotus) family, fire, the west, magnetizing deity, Dharma and speech, and compassion/love. Picture from an FPMT centre. 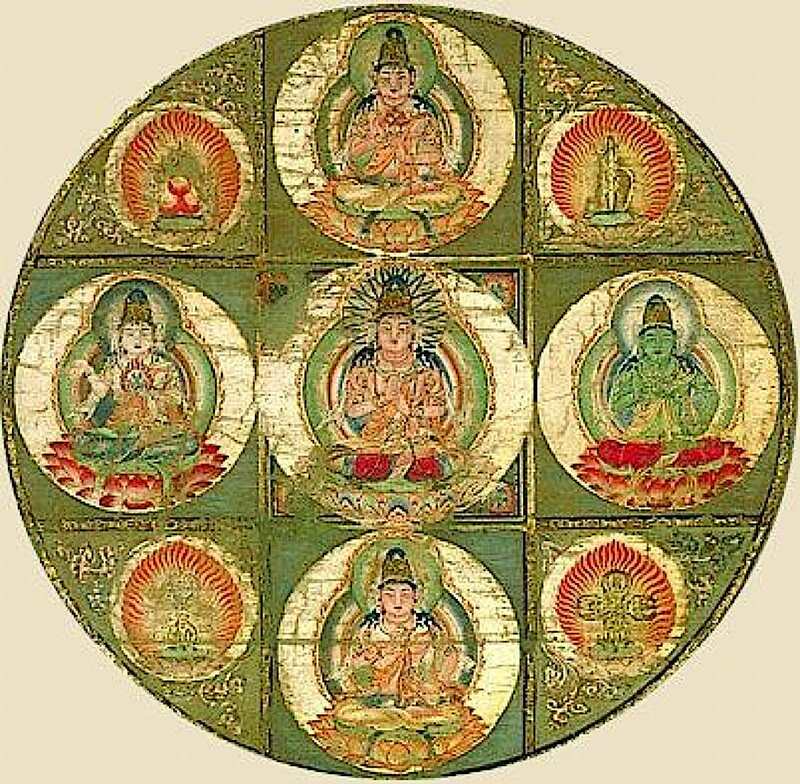 The five Buddhas, with Akshobya in the centre, Amitabha in the West (top right), Amoghasiddhi in the North (bottom right), Vairochana in the East (bottom left), and Ratnasambhava in the South (top left). This is a higher tantric positioning. Often Vairochana is in the centre and Akshobya (blue) in the east. It varies by teaching and school. The core concepts do not vary, however. Thanks for creating and posting. Shared! Best to you and may all beings benefit.